LuGus Studios comes at us with a highly polished FPV simulator called Liftoff. They have teamed up with ImmersionRC and Fat Shark to bring us an immersive and realistic simulation of FPV flying. 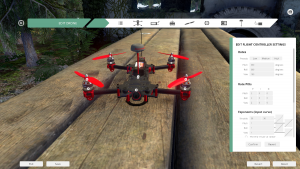 The customization in Liftoff goes way beyond control adjustments, with features such as quadcopter modification and a custom track builder. All combined together, Liftoff provides a fantastic simulator experience. First thing to make clear on everything I say in my post is that Liftoff is still in the Early Access stage of development. Aspects of the game are still being worked on and very well may improve or change as updates arrive. We have been immensely impressed with the frequency of updates and interaction with the community thus far. 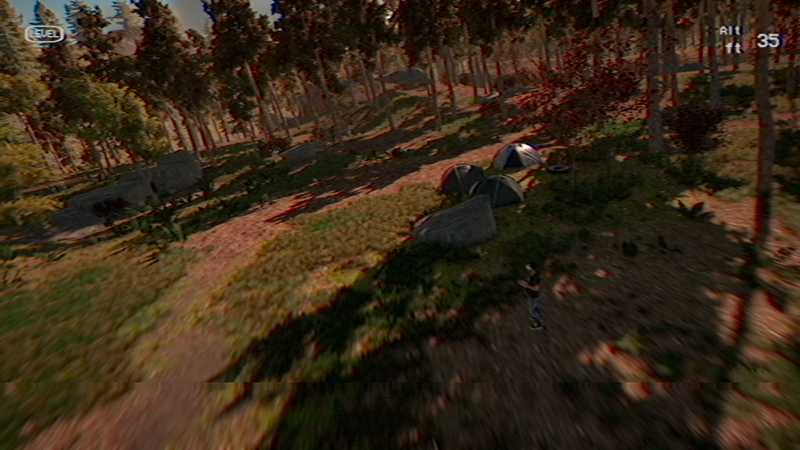 My first thought after launching Liftoff was this is a game designed from the ground up with FPV pilots in mind. The level of detail that’s put into the game shows that they’ve really captured the true experience of flying FPV miniquads and translated it into their simulator. The music playing in the menu navigation screen, and while flying, is fast and upbeat which really matches the game’s pace. The graphics look great. I set my game to the highest graphic setting (Fantastic) with all default settings left intact, and the game looks, well, fantastic. Whether you’re flying outdoors on the Straw Bale map or inside on the parking garage level (Minus Two), everything looks great and runs smoothly! They’ve added some nice touches in the form of a graphic effect that mimics the look and static of real FPV goggles as well. Moreover, Liftoff recently added 3D flight mode support! 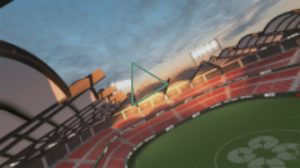 If you wanted to bust out crazy 3D flying tricks like ZoeFPV, now you can! It works great, and is easy to switch to from Acro / Angle mode! Transmitter binding has undergone huge changes since the release of Liftoff. The below video shows how simple the process has become. Plug in your transmitter before starting Liftoff. 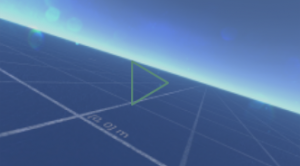 After starting Liftoff for the first time, the transmitter binding UI should pop up. Follow the instructions on screen (match the commands from screen to your transmitter) to bind your transmitter to Liftoff. If you need to fine tune the controls or further calibrate each axis, you can do so at the end of the process. The binding tool should identify most transmitters and controllers immediately. After update 0.12, the team even added the ability to swap or choose between inputs if you have multiple controllers connected. Definitely helpful for those that fly with a transmitter and game with an XBox controller! Having issues with Liftoff identifying your transmitter? Check out the next section. Again, we can’t stress enough how far Liftoff has come in terms of transmitter binding. The team continues to impress with their constant updates to improve the overall experience. Case in point, check out our screenshot of the old binding section below. Way less intuitive! For comparison, here is Liftoff’s original control setup! Configuring your transmitter and getting help! Having issues with Liftoff transmitter binding? First and foremost, make sure your transmitter firmware is up to date. This should help fix a lot of issues – especially with the Taranis. Taranis added a “Simulator” model setting that should work well with Liftoff. If you are using older firmware, you might experience issues when setting everything up. You can check out our post on setting up and troubleshooting transmitter problems here if you have additional issues. Unfortunately, this is very difficult to diagnose within Liftoff and takes a bit of digging on a few different forums. That said, the Liftoff team has been very active on their Steam community page answering questions and updating the community on issues such as these. Speaking of, if you do have problems, jump on over to the Liftoff Steam community page and give feedback there. More often than not, the Liftoff devs will respond directly to your thread and help troubleshoot the issue quickly. With the latest transmitter release, they issued numerous hotfixes based on community feedback from these threads. On the note of hotkeys, I did not immediately realize that the game is controlled between a mix of flight controller settings, mouse clicks, and keyboard inputs. Take a moment to look through the hotkeys on the default settings under Options > Controls > Buttons. In this section it will show you the keyboard default keys for various functions. Again, we recommend binding a few of the flying specific controls (such as arming your quad and switching flight modes) to the equivalent switches you would use when flying for real on your transmitter. If you do decide to build your own tracks in the Track Builder, you will definitely want to review the controls here to save yourself time. How does it fly? Are the flight mechanics solid? Liftoff has undergone multiple revisions to its flight behavior. Most notably, the 0.10.0 release revamped the entire flight system and was basically a full reset of Liftoff. As part of the update, previous custom builds in the workshop were reset to allow for a program wide change. The team worked alongside major names in the drone community to revamp the flying systems and make Liftoff more true to life. The result? Liftoff is an absolute blast to fly and is one of the most accurate to life simulators we have used. That said, definitely customize your digital quad in the workbench to match the settings you are used to. 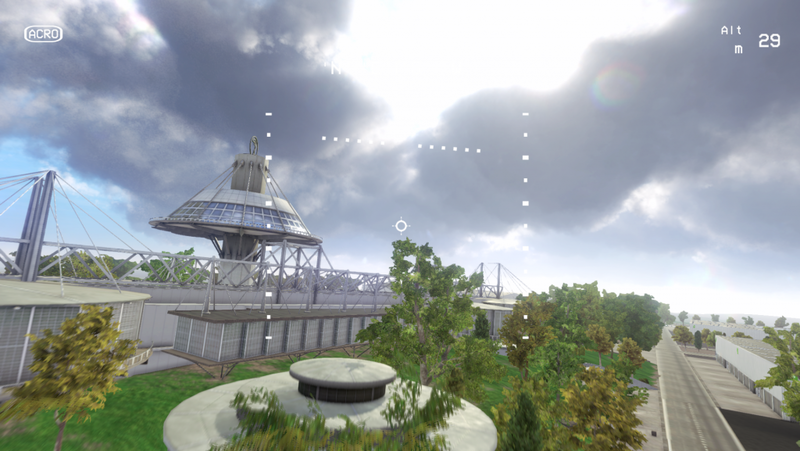 Details such as weight, thrust, camera angle, and FOV play major roles in “feel” outside of the in-game physics systems. Furthermore, you can achieve finer levels of customization using the Betaflight style customization options, which we will discuss in the next section! 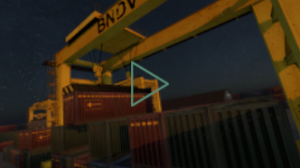 The Liftoff Tutorial mode recently got a big face lift. Upon selecting tutorial, you are greeted with a list of exercises and videos that help welcome new pilots into the game. Most of the tutorial sections feature a YouTube video (which is played through Steam, Shift+Tab to go back to the game) that explains a flying concept. 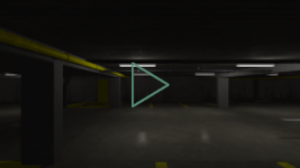 After watching the video, you can enter the level and test out what the video showcased. This is a great way to quickly introduce the player to new concepts. 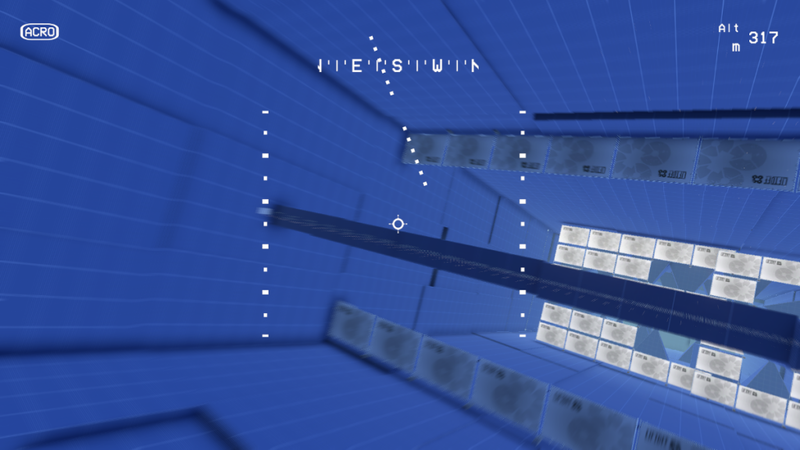 It isn’t perfect, but it is a huge improvement from Liftoff’s original version (a Mirrors Edge-like maze that even seasoned pilots could have difficulty with). Once you have completed the selected tutorial, exit the map and select the next one. This is a bit cumbersome – we would like to see some sort of on screen button that would let the user progress to the next tutorial a little more efficiently. That said, this is a great way to have introductory concepts explained quickly, and get a chance to test them out in the wide spaces of the Drawing Board level. 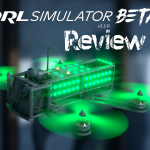 Few other simulators offer any tutorial, and Liftoff has done a great job iterating on their previous version. Free Flight will be the main single player area where most pilots should start flying. This mode gives you the ability to play all of the different environments in a ‘freestyle’ type scenario. 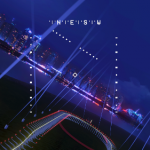 This should allow pilots to get familiar with all of the levels before they jump into the racing mode. 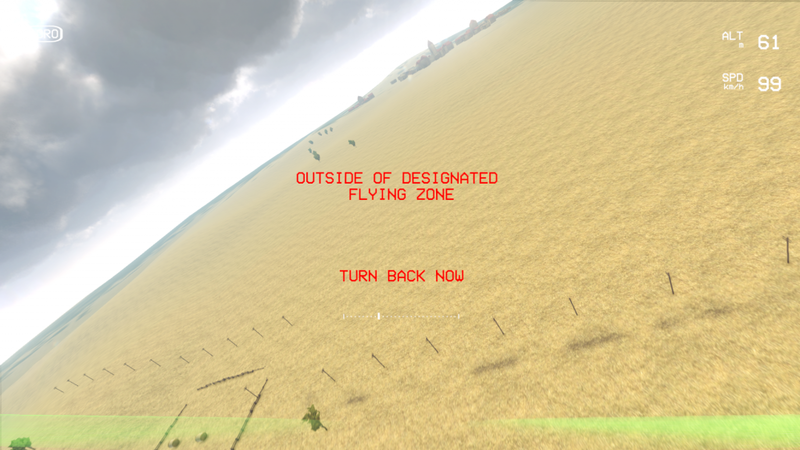 You choose between one of the available environments, select a ‘track’, and then start flying. The track option allows users to select between the ‘blank’ level, the ‘race’ level (i.e. putting the gates on the field), and user built variations. If you do select a race style track option, the game will still operate in free flight mode, and the gates will be inactive. This is great if you want to take the race style tracks at your own pace and get some practice without being tied to a timer. Ready to start training for the next Drone Nationals? Liftoff has a great set of races where you can fly gate to gate and compete to be added to the worldwide leaderboards! The single player game mode allows you to practice your racing abilities before you jump online to fight for that top position. The race mode has no real surprises – race through each of the marked gates to complete the race. One great feature here is the ability to race against your ‘ghost’ of the prior lap on your next lap. This definitely adds a bit of self competition as you try and beat your last lap time! Tony Hawk Pro Skater meets drone racing! The Freestyle mode rewards points for pulling off tricks, flying low to the ground, and executing other skillful maneuvers. Set your best score during the time limit, and challenge your friends to beat that score! If you are interested in taking the Free Flight experience a bit further, this is the mode for you. Hopefully this game mode gets expanded upon. We would love to see objective triggers added into the track builder to really make for some interesting levels. As far as we can tell right now, scoring occurs off of most tricks (rolls, flips, dives, combos), but there are no interactive scoring sections. We would love to see things like pickups (think the S-K-A-T-E letters hidden in Pro Skater levels) and other Freestyle specific tools built into the Track Builder. I am sure the community would create some incredible levels given the right tools! The garage for your quadcopter! Here you can change the on-board gear – mainly the props, battery, camera tilt angle, and motors. The other parts – antenna, camera, receiver, and frame seem to just be cosmetic changes at this point. Moreover, you can use some prebuilt frames used by some of your favorite racers! Within the Workbench game mode, you can also save and load previous builds. You can think of it as a continual work in progress for quad builds. There is also an option to go into a Test Flight with your current configuration. I love that they added this as a quick and dirty way to see if you like your setup rather than having to save, go to main menu, then test fly. Great feature with a lot of potential. We recommend that you move to tri-blade props and change your battery to a 4 cell as soon as possible. Similarly, adjust your camera angle as needed if you find yourself looking at the ground / sky too often when flying. Liftoff recently added a ton of new frames and components in their 0.8.0 and 0.10.0 release. Furthermore, you can now change flight controller settings on the workbench! We love the Betaflight / Cleanflight style software customization, as it prepares new pilots for making similar adjustments on their real-life quads! Need help understanding the different customization functions? Check out our Betaflight software guide for help customizing these settings. Here you can make your own custom tracks using the pre-built levels. You can place the different art assets around the map and add track makers to make your own unique course! The controls do take a bit of getting used to if you only setup the controls for your transmitter. 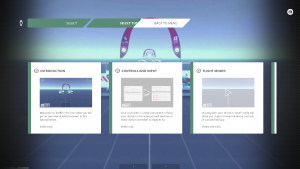 Refer to the control settings before diving into the Track Builder to make things much easier on yourself! One issue other FPV simulators have is the lack of variety when it comes to track setups. Working a full Track Builder into the game will allow players to build their own races for practice or sharing with friends. Sure enough, the Liftoff community has made an absolutely insane amount of levels. Even better, you can join custom track matches in multiplayer, and favorite tracks to instantly add them to your track list! Super convenient, and a great way to build upon the default tracks and courses! To download tracks, you can either go to the Steam Workshop page for Liftoff in Steam, or select “Download Tracks” in the “Select Track” window when setting up a game. You can also save maps by pressing the cloud icon within a multiplayer lobby! 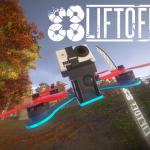 Liftoff has been consistently adding levels since release, and the addition of Steam Workshop integration allows for a slew of community built levels. Pine Valley A forested area that allows for fine-tuned flying between a ton of obstacles. Lots of ground and vertical obstacles to avoid. Minus Two The parking lot level that seems to be found in every simulator! Allows for precision flying that absolutely will test your altitude control. Autumn Fields Probably our favorite map due to the large size. 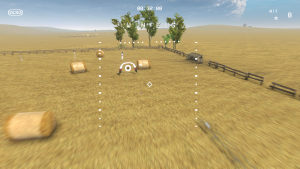 A farm map with a great variety of obstacles to avoid and fly through. Great for practicing freestyle moves and tricks. Hanger C03 A warehouse location populated with cranes and shipping containers. Great for testing precision hitting gaps and freefalls. Liftoff Arena A large stadium with some great courses built in. This would be the place pilots aspiring to join a racing circuit should start cutting their teeth! 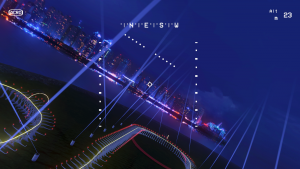 Dubai Legends A replica map of the 2016 World Drone Prix in Dubai. See if you have what it takes to compete with the best pilots of the world! The Drawing Board A HUGE (no restrictions as far as we saw) level that basically has just a flat floor and unlimited sky box. Hannover Fly freestyle in a large city style map. 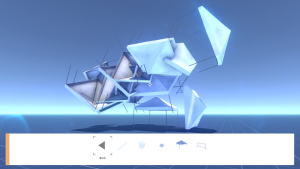 Tons of beams, buildings, and obstacles to work into your flow! 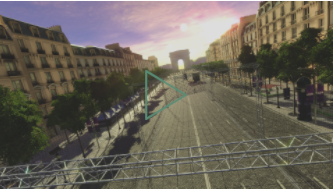 Paris Drone Festival A narrow raceway modeled after the Paris Drone Festival race! Lots of obstacles, gates, and twisting turns. Definitely stick to race on this one rather than freestyle! The track builder allows variations on the base level. This is most widely seen with “The Drawing Board” track. You can load the base level, and then select the variation from there to load a custom map. 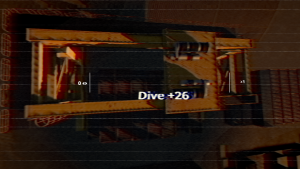 Want to do crazy building dives? Check out levels like Mega Tower Supreme to dive to your heart’s content! They even put in a diving area where you can dodge obstacles – crazy! 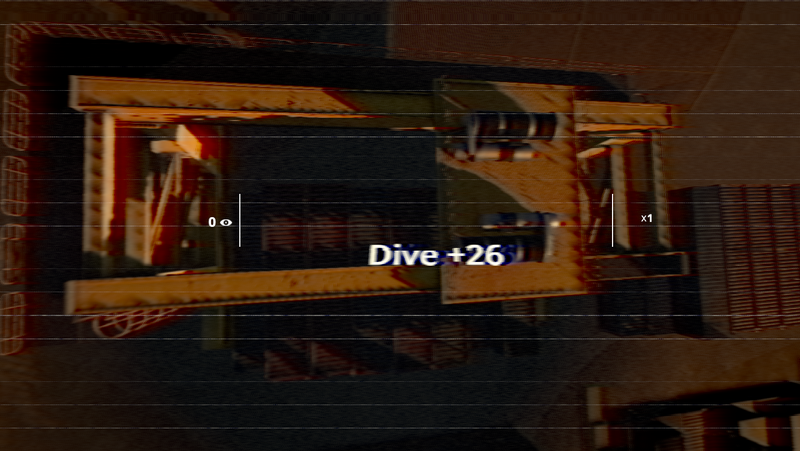 Ever want to building dive THROUGH a building? Check out Mega Tower Supreme to make your dreams come true! 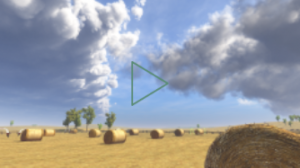 Version 0.6.0 brought Multiplayer into the mix in Liftoff! Here you can race against other players and prove your awesomeness on the global leaderboards. From the main multiplayer menu, you can either head to the lobby where you can find or create your own race, or select the leaderboards option to see the top pilots for each track! Setting up a multiplayer game is pretty straightforward. 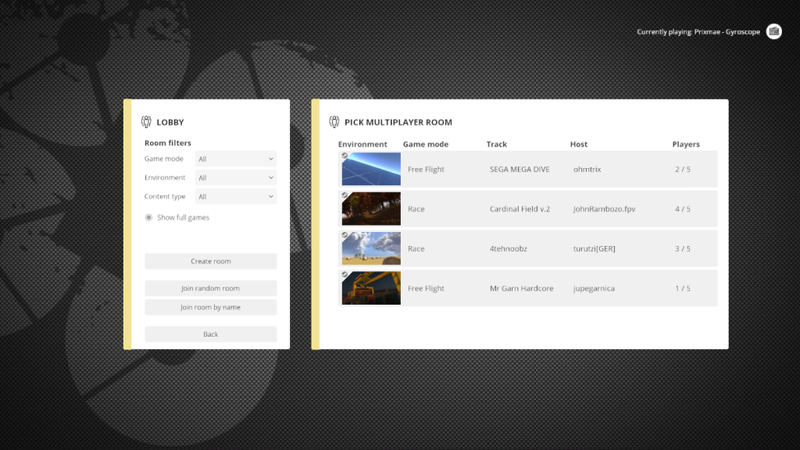 In the multiplayer central lobby, press the “Create room” button to enter the multiplayer options. Configure the settings you would like – features such as the environment, track selection, race selection, and number of players – and press “Create Room”. As per game modes, you can select between Race or Freestyle modes. The addition of freestyle was added in update 0.7.3 and is an amazing way to fly casually with friends. Again, this goes to show the guys at LuGus really listening to the community, as freestyle multiplayer was previously not a feature until it was requested. Once you have created a room, you will be placed into the lobby for that room to wait for other players. Liftoff recently added a feature where you can start the game before other players arrive – a welcome change over sitting in a blank lobby waiting to play. When you have players ready to race, or when you are ready to go, start the match, and you are off! As stated previously, the visuals and latency have been great when we played with other people. Other quadcopters are very easy to see due to the trails behind the quad, and there is very little glitching / position updates when flying close to other players. This was an issue we found with other multiplayer simulators, but hasn’t been an issue for us so far in Liftoff. We previously wrote that multiplayer games were hard to find due to the closed lobby system. Now with freestyle and the ability to join a lobby mid-race, games are MUCH easier to find. We love jumping in and out of random freestyle rooms, or just creating our own for people to pop into! A welcome sight! More multiplayer games are easier to find and join! In March of 2017, Liftoff announced the addition of the Pro League into multiplayer. This new multiplayer mode allows pilots to register and compete in custom built tournaments. Organizers can select a track and level, customize the event rule set, and view the top pilots on a tournament specific leaderboard. Pilots can compete in these tournaments and set their best times for the world to see. The Pro League is a great way to add more frequent challenges and opportunities for pilots to compete among themselves. We hosted our own tournament using the system in April 2017 and it was a great experience for the race organizers (us) and the participants (our fans / Liftoff community). Liftoff features a good mix of upbeat electronic tracks from the artist Prixmae. The music pairs well with flying, and you almost feel like you’re listening to Charpu’s latest flight mix tape when you’re playing. There is a button in the audio options for using a custom playlist, but it does not seem to be active yet. It would be great if a future release tied into using a Spotify account, or let you use your own music tracks! As you can probably tell, we really like Liftoff! It provides a great flying experience with a ton of extra bells and whistles. That said, we did want to spend some time discussing improvements we hope to see in the game. This section has more or less been made redundant, as the Liftoff team has implemented nearly everything on our wish list! We kept the prior ideas below, but pretty much everything has been fixed/added. The Liftoff devs have done it again! The range notification system is vastly improved in update 0.10.4. Previously, if you exited the acceptable flight range in Liftoff, red letters flashed on screen notifying you to return to the flight zone. This may not sound like much of a problem, as of course there needs to be limits to flight range. The issue was, if you kept flying, or turned back too slow, the level automatically restarted. If you were already at full throttle, you could pretty much count on the level restarting if you received that message – you just couldn’t get back within the bounds in time. Version 0.10.4 revamped this system completely. 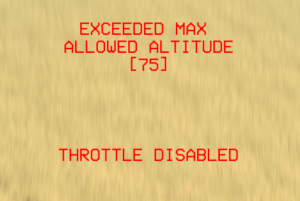 Flying at too high of an altitude will simply cut your throttle and stop your motors. Once you get back into the acceptable flying range, you will regain full control. This is a fantastic middle ground that is much easier to recover from. Similarly, flying outside the acceptable range will put up a warning screen that lasts much longer than the previous version. Pilots should now have plenty of time to return to the safe flying area. 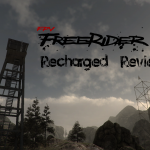 An absolutely welcome change for freestyle pilots! A much friendlier limit to level boundary control! Liftoff recently revamped their tutorial to be much more informative to new players. The original version of the tutorial was very difficult, and true beginners would have likely been lost. 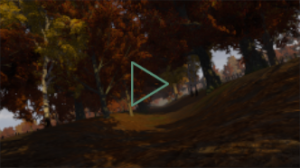 The new version of the tutorial includes videos before jumping into a track to help explain the basics of flying. This is a welcome change rather than just dropping a player in. That said, the tutorial system still needs some work. The videos are great, and the tracks are relevant, however navigating between tutorials is cumbersome. There really is no way to complete a tutorial and move on. 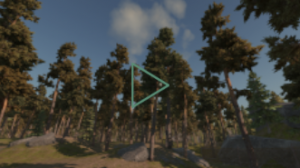 It is a big improvement, but we would like to see a way for players to complete a task and know that they can move to the next tutorial. We love that the first few tutorial levels are open ended! In fact, it was something that we recommended in our previous review! That said, there is no easy way to move to the next tutorial – you have to realize that you are finished, quit the level, and move to the next one. Again, this is a huge improvement over the original, but we want to keep seeing the Liftoff devs iterate on the tutorial to really make it friendly to new pilots. Liftoff completely revamped their controller binding functionality to be much more intuitive. Since this change, we have had no issues binding multiple transmitter types using the new system. The on screen visual transmitter and moving quad are nice touches to show controller feedback. You can see the new system above! While some people have noted transmitter binding difficulties with the release of this update (November 2017), the team has been quick to respond and hotfix issues as they occur. If you do have problems with transmitter binding, definitely post in the Liftoff community section within Steam for help! 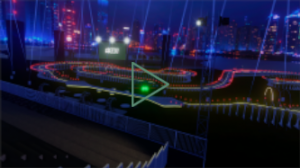 At the end of the day, Liftoff is an incredible Drone Racing simulator. Customizing your own tracks, and sharing them with other people, makes this game infinitely replayable. Multiplayer allows you to compete with your friends and the rest of the world on a variety of courses. The graphics, feeling of flight, and customization add an incredible amount of depth to a well put together simulator. While it does come at a higher price compared to other simulators, the amount of content in unparalleled. If you have some extra prop cash to spend, Liftoff is a safe bet. The guys at LuGus are serious about making a truly great simulator and are constantly updating their game. Reading through this review, we are sure you noticed all the different update numbers scattered throughout each section. Each one of these additions has moved Liftoff forward towards continual improvement. The constant addition of new features, quads, maps, and tools are a testament to developers serious about growing their community. If you are looking for a simulator to not only learn on, but race and fly among a community of pilots, Liftoff is one of the best offerings on the market. 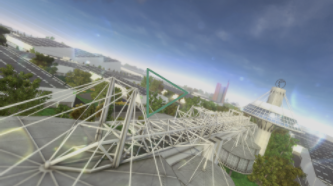 We interviewed the developers of Liftoff about what it is like to build an FPV simulator. If you are curious to learn more about Liftoff, you can check it out here! Transmitter binding difficulty: Low. The transmitter binding process has been completely revamped since release and is a breeze to run through. 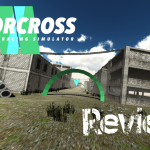 Interested in reading about more FPV simulators? 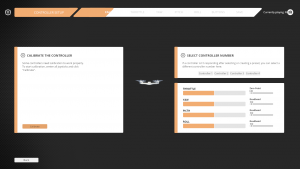 Check out our comprehensive list of drone simulators here! Interview with the Liftoff team!